Building a high performing business requires high performing employees that are highly engaged in their work. Achieving that requires a systematic, measured approach to building a culture that breeds engagement. HRElevate builds upon the strong, scalable foundation of our HRComplete Solution by adding the strategic core necessary to put your business on course for outperforming your competition and sustainable growth. Enjoy the peace of mind of knowing your Melita team takes full ownership for all aspects of HR, Benefits & Payroll operations, including employee support. Although the tactical execution of HR is very important, when it’s done right it should somewhat invisible so your employees can focus on the mission of the business. Our job is to quietly, but thoroughly manage your important HR function and support your employees so you can have your entire team focused on running your business. 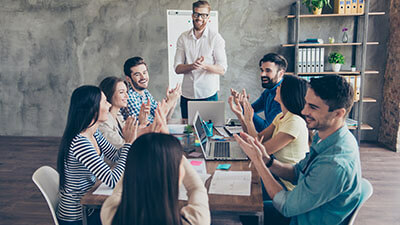 We help you to flawlessly execute the often underappreciated, but high impact activities related to performance management, employee relations, employee communications, new hire on-boarding, technology tools and resources, and employee support for benefits, payroll and HR policies and procedures. It's the small things that make a big difference in elevating the hearts and minds of your employees. With HRElevate, we design and develop the blueprint for the people function of your business. Like any good strategic plan, the HR Roadmap will be aligned with your vision, values, and mission to guide your business decisions. And equally important, we will take ownership for implementation and execution of the HR Roadmap which will invariably include a few detours along the way. We have developed a sophisticated, but simple tool that allows us to quantify the performance of the HR function and translate the scores into the financial results of the business. We call this tool the HR Financial Performance Index (HRFPI) and it plays a central role in the HRElevate service package. Your assigned Executive HR Advisor takes ownership for your HRFPI scores and shares the results with executives on a regular basis to ensure your business is on track to achieve your goals and to aid in decision making and budgeting. A well-designed, technology-enabled recruiting process is important whether you’re filling one position or 50 positions. With HRElevate your Melita Recruiting Specialist will build a robust, scale-able recruiting technology platform and process, designed for your business. This allows you to avoid the costs and inefficiencies associated with the unstructured recruiting process typical at most growing businesses that simply don’t have the expertise or budget necessary for a high quality recruiting effort. 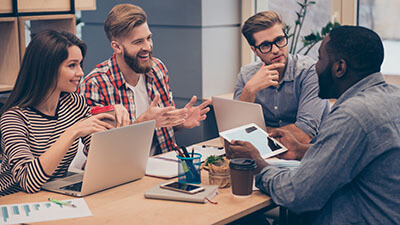 Your employees are your business, so investing in them to gain their full commitment and their emotional engagement are crucial to your success. In order to do that effectively and consistently requires a comprehensive set of processes, quality technology, manager training, and ongoing metrics to monitor progress. With HRElevate your Melita Executive HR Advisor will design, implement and manage a world class performance management & engagement program that will directly improve your business results.